This fine jersey ruffle neck tee from Rabbit Skins is a fresh take on the classic tee. The frilly neck style will be your toddler's new favorite. You won't have to worry about giving up comfort for style and durability with this new top! 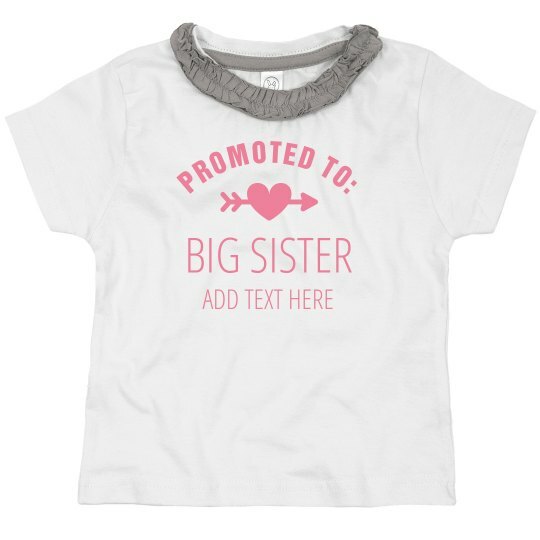 Celebrate the news of a baby arrival with this custom "Big Sister" ruffle tee! Add your own message at the bottom to personalize it to the big sis and play with the colors to really show off your creativity!